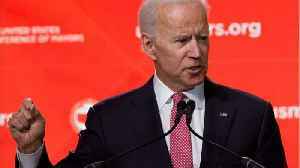 Will Stacey Abrams Be Joe Biden&apos;s Running Mate? 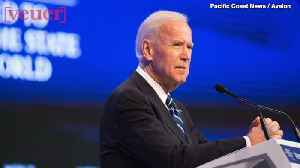 Former Vice President Joe Biden is reportedly considering tapping Georgia gov. candidate Stacey Abrams as his running mate. 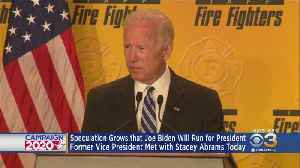 Will Stacey Abrams Be Joe Biden's Running Mate? 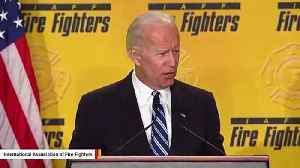 Former Vice President Joe Biden is reportedly considering tapping Georgia gov. 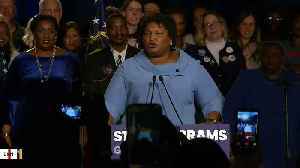 candidate Stacey Abrams as his running mate. 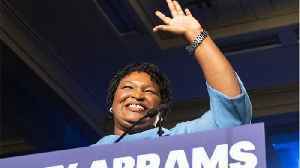 Business Insider reports many of her advisers are suspicious of Biden's..
Stacey Abrams is the former Georgia gubernatorial candidate. Stacey Abrams gave a hint about her 2020 plans and whether or not she would accept an offer to be former Vice President Joe Biden’s running mate. 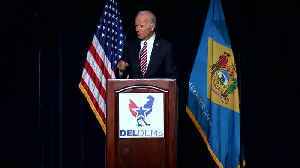 Former VP Joe Biden is reportedly trying to change the way presidential campaigns are run. Veuer's Nick Cardona has that story. Abrams is considered a strong vice presidential running mate.